Ripple Simple and beautiful. 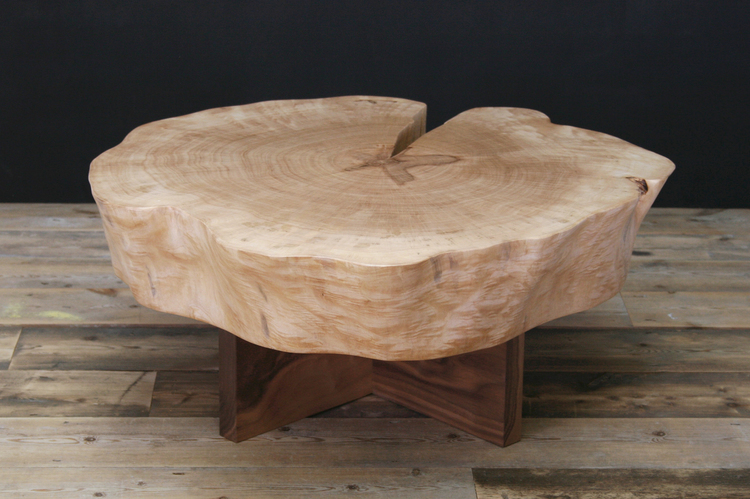 This coffee table is made from a great slice of English maple that has been sanded to a high finish making the surface and natural edges irresistible to touch. In our work we like aim to simply display the natural beauty of the wood we use. 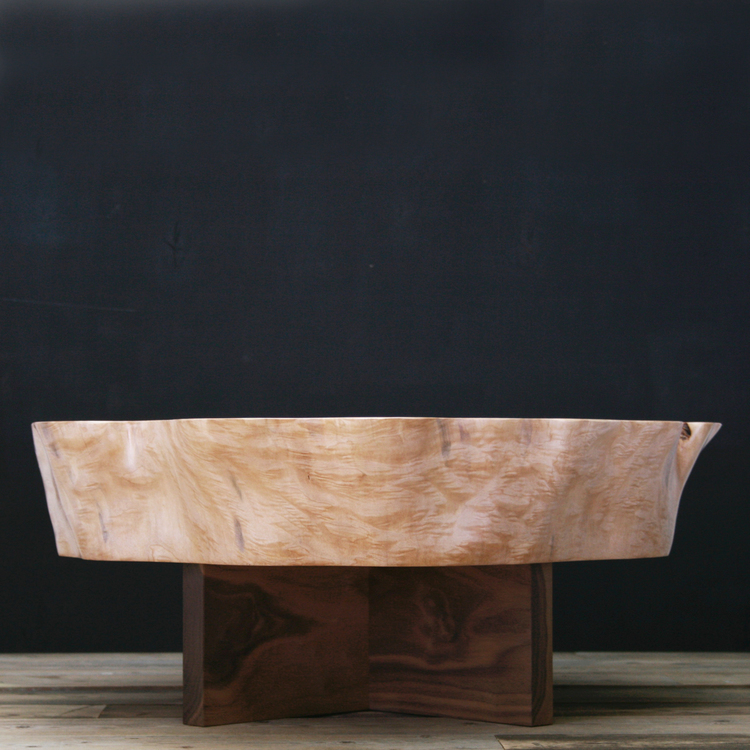 By sanding in a way that follows the natural shape of the tree we end up with this flowing ripple shape. For this tables legs we chose a contrasting X shaped walnut foot that allows the beauty of the Maple to be shown off. Dimensions 50cm diameter x 40cm highOne off original shipping from Sussex. As seen on Bbc Money for nothing. Categories: Artists, Forge Creative, FURNISHINGS.